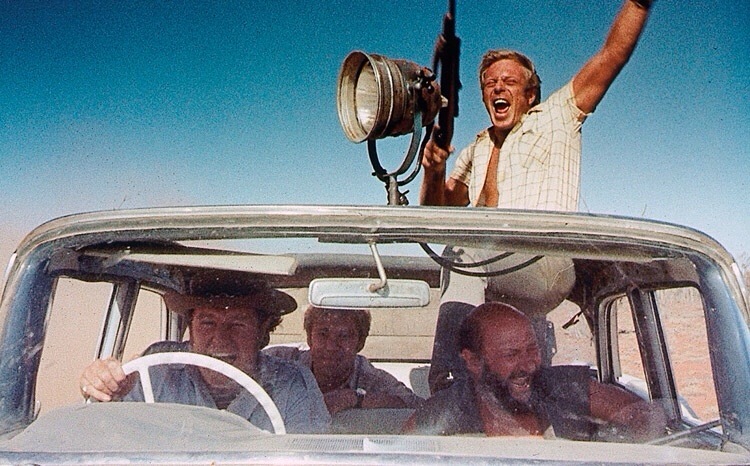 “Have a beer, mate?” It was in January that I first saw 1971’s Wake in Fright at Edinburgh’s Filmhouse cinema, a near-forgotten Australian drama that has now been rediscovered and rereleased. The film charts a weekend in the life of schoolteacher John Grant (Gary Bond), who visits the outback town of Bundanyabba and finds a kind of Hell waiting for him. It’s an astonishing film and I’ve no doubt that it’s place in cinema history is been re-evaluated as thanks to this new release. To mark its return to cinemas and arrival on Blu-ray, I was asked onto the BBC’s Culture Studio to discuss the film, a 10-minute segment that’s on iPlayer for the next week. I was also able to interview Wake in Fright’s director, Ted Kotcheff, for film retailer, MovieMail. Finally, I wrote about the film for my Edinburgh Evening News column, recommending everyone tries to catch it at Filmhouse from tomorrow.